Nearly 400 students, staff, trainees and junior faculty presented abstracts at the 12th Annual Lewis Landsberg Research Day. On Thursday, nearly 400 students, trainees, staff and faculty presented abstracts at the 12th Annual Lewis Landsberg Research Day. 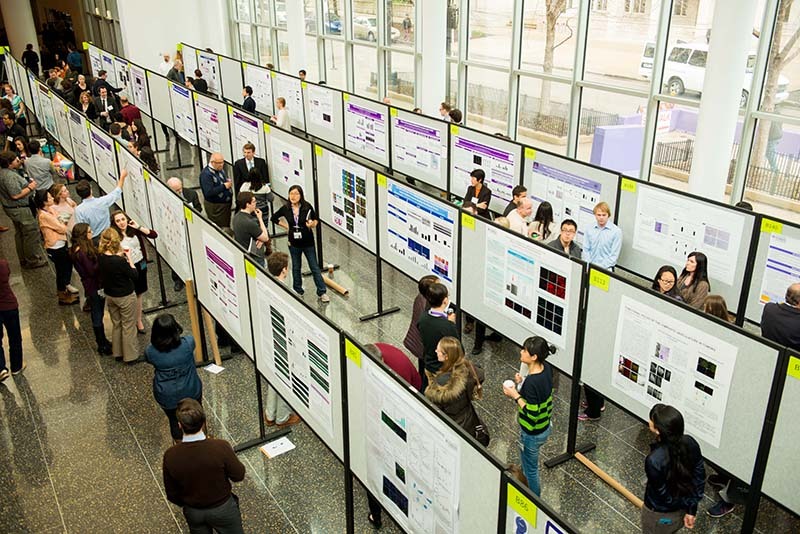 This year’s record-breaking participation not only showcased the diverse array of innovative research taking place at Feinberg, but also served as a vivid illustration of the community’s interest in scientific discovery. “I hope that research remains a big focus for me as I go forward in my career,” said Hawkins Gay, MD, MPH, an internal medicine resident in the Department of Medicine who won first prize in the public health and social sciences category during the event’s poster competition. For his project, Dr. Gay compared the effectiveness of different dietary approaches to reducing hypertension, conducting a meta-analysis of 24 studies involving nearly 24,000 participants. The event also gave young investigators the chance to network and exchange ideas about their projects. “Today was a good opportunity to practice talking about my research and to see what other people are working on,” said third-year medical student Nicholas Rydzewski, a finalist in the women’s health category who displayed his research exploring the impact radiation therapy has on outcomes for patients with stage I endometrial cancer. The event gave young investigators the chance to network and exchange ideas about their projects. Salva Balbale, a second-year student in the Health Sciences Integrated PhD Program, exhibited the results of a study she performed at the Hines VA Hospital, which won third prize in the poster competition. Earlier in the day, Rex Chisholm, PhD, vice dean of Scientific Affairs and Graduate Education, welcomed attendees to the event. 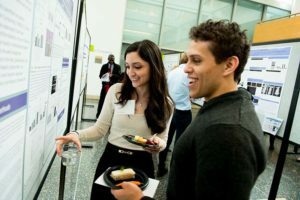 For the first time, Research Day included posters on education research, in addition to basic science, clinical research, and public health and social sciences. “There’s a strong interest from faculty and trainees in many departments in getting more involved in education and research,” said Samuel Chu, MD, a fellow in sports medicine in the Department of Physical Medicine and Rehabilitation, who won third place in the new category for his study using ultrasounds to teach medical students how to do musculoskeletal physical examinations. Senior faculty serving as judges gave awards to participants whose projects demonstrated outstanding and innovative research with potential to advance medical science and healthcare. ARCC Community-Engaged Research Partnership Award: “Reducing Cancer Health Disparities Among Chicago-area Latinos/Latinas.” This project is a partnership between the teams of David Victorson, PhD, associate professor of Medical Social Sciences, and Judy Guitelman, founder of ALAS-WINGS, a nonprofit organization dedicated to empowering Hispanic/Latina women about breast cancer awareness. 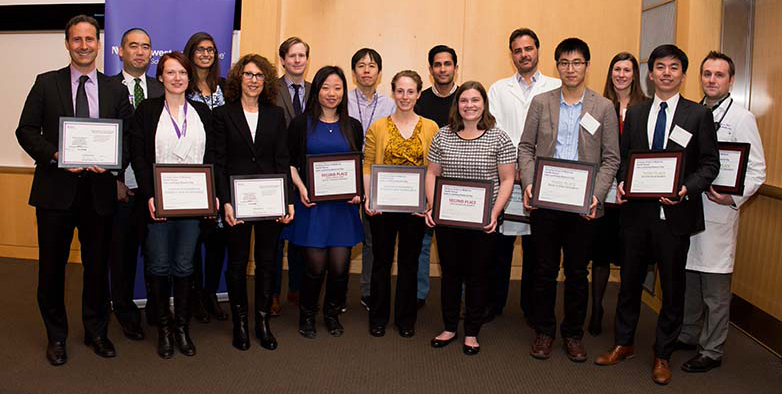 View of a full list of Research Day award recipients here.